If you are looking for the perfect gift for a stressed out BBC Sherlock fan, look no further. 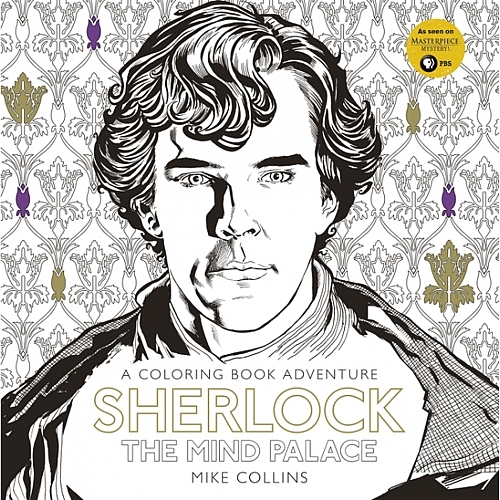 PBS has the SHERLOCK: The Mind Palace coloring book available for sale. The much-anticipated back in time Sherlock special: The Abominable Bride airs in the US on PBS on January 1 and then again in movie theaters nationwide in a simulcast Sherlock event on January 5 & 6 hosted by Fathom. While you're waiting to receive your Sherlock coloring book in the mail, you can always check out the Mystery Playground Coloring Pages of Mystery. This is so cool, and I cannot wait for the Sherlock episode. I know I am so excited.